Many Metro-Detroit-area companies have small marketing teams (if they have a dedicated team at all). The “marketing departments” at these firms are really one or perhaps two people at the most. We’ve found with our own marketing and sales efforts that many of Michigan’s and Detroit’s marketing pros are well aware of inbound marketing and how a HubSpot agency can help them with their digital marketing strategies. Even using HubSpot themselves, without the help of an outside inbound marketing agency, could be a huge boon to these small marketing departments. So that got us thinking: we know that inbound marketing is having a large impact within the Michigan digital marketing space, particularly as it pertains to results (business growth and increased revenue). How much does inbound really improve those results? Ninety-three (93) percent of companies that use inbound marketing strategies increased their lead generation. Companies that blog regularly see 67 percent more leads per month than companies that don’t blog. Blogs provide their companies with 434 percent more indexed pages and 97 percent more indexed links (see linked statistic above). In a nutshell, never forget: Google loves the new and sends its “crawlers” to go check out new pages. A blog is a new website page. The more you blog, the more often Google comes by to check you out. A business that relies mostly on inbound marketing saves more than $14 for every new customer it acquires. 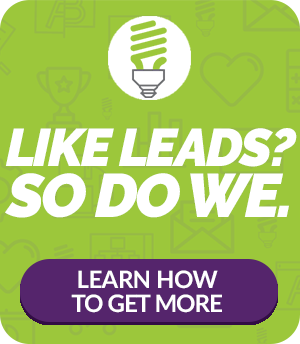 Leads earned via inbound marketing cost about 61 percent less than leads earned via outbound marketing strategies. Nurtured leads make 47 percent larger purchases compared to non-nurtured leads. Inbound marketing strategies – so long as they are executed properly – are 10 times more effective than outbound methods for lead conversion. Yet as much as we’ve seen Michigan and Detroit-area companies embrace the concept of inbound marketing, we’ve also seen the ones with small marketing teams struggle to implement effective strategies. That’s because there’s a ton involved with inbound today. First, considerable content needs to be written in the form of landing pages, blog posts, white papers, case studies, e-books, video scripts and on and on. That content then needs to be broadcast on different channels (social media, your own website, etc.). What’s more, you need to continually provide fresh, engaging content; this truly is a job that never ends. So while inbound is incredibly effective it’s just difficult to do if you’re a one- or two-person marketing shop. It can also feel completely overwhelming: What do I do first? Where do I publish? And where – oh, where!? – will I find the time to do all this? This is where Ingenex Digital Marketing can help. We’ve found that our inbound-savvy clients partner with us so that they can do what they do best. They understand their brand completely and know who their target clients are – while we can do what we do best: help them produce and publish great content so that they can establish and maintain a long-term relationship with prospects – who then become long-term customers. Are you a big believer in the power of inbound, but have no time to execute it well? Contact Detroit-area inbound marketing agency Ingenex!